Mechanicstown and Middletown drivers, are you tired of having to decide between a pickup and an SUV? The Honda Ridgeline gives you the best of both worlds, and you can add used vehicle savings on top of that when you visit your Middletown used car experts at Middletown Honda. We are proud to offer drivers a variety of Honda Ridgeline models to choose from, but because the vehicle has been around for a while now, many aren’t quite sure what to expect. 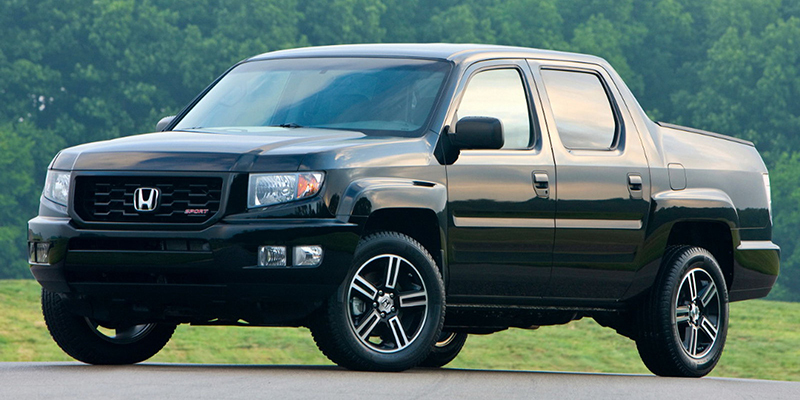 Rest easy, though; we have an outline of just what has changed on the Ridgeline since it debuted in 2006. While many vehicles undergo a generational update every five years or so, the Ridgeline has kept mostly the same design since it hit the streets. When it first became available, the Ridgeline had three different trims to choose from—RT, RTS, and RTL—with a chrome-accented RTX showing up in 2007. Minor features updates occurred to the vehicle until 2009 when it received an update to both interior and exterior design. Under the hood of every model of Honda’s pickup is a 3.5L V6. The power ratings for the engine have fluctuated over the years as it became more powerful or more fuel efficient, but, by and large, the reliability of that V6 has remained constant, giving drivers confidence to haul cargo to and from work or pack up the family for a vacation. The latest version of the Ridgeline has an updated grille and also has a special Sport trim level available for drivers that are looking to maximize the style of their pickup with 18-inch alloy wheels, a leather-wrapped steering wheel, fog lights, and unique trim. In order to see if we have the right used Honda Ridgeline for you, you should visit Middletown Honda at 520 Route 211 East and take one for a test drive. We’re conveniently located in Middletown, just a short drive from Mechanicstown, and we can’t wait to see you behind the wheel of this incredible pickup. If you have any questions, don’t hesitate to contact us.